That's "Welcome!" in bahasa Indonesia, the official language of the vast archipelago known as Indonesia. Hello-Indonesia.com welcomes you to a fascinating land located half a world away in the balmy Indian Ocean, stretching between Australia and the Asian mainland, straddled across the equator. This nation, though not well known in the western world, is a vast string of tropical islands numbering over 17,000, filled with breath-taking landscapes and smiling faces that have a special charm like no other place on earth. 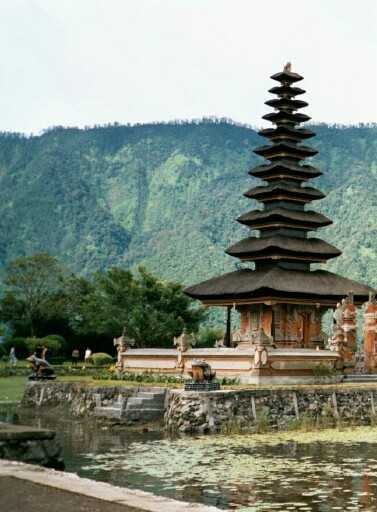 Whether you are planning a trip to this fascinating destination, or simply traveling there in your mind's eye, Hello-Indonesia.com invites you to take a glimpse into the people, culture, arts, and languages of this exotic and diverse land in Southeast Asia. We hope to welcome you back again and again throughout your journey of learning. Come explore Indonesia with us! Start your adventure by clicking the buttons on the left margin of this page, or return to the home page and check out the specially featured links..